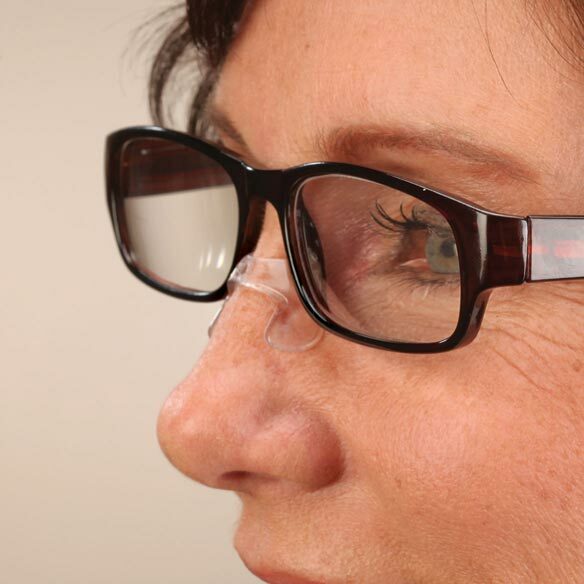 Visualign™ Speclifter™ gives eyeglasses a lift for improved comfort, posture and clarity. 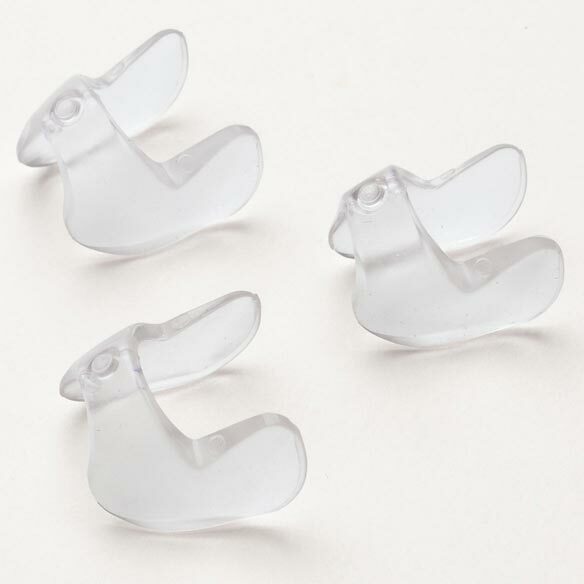 Simply position these eyeglass accessories on the bridge of your nose beneath your own glasses. 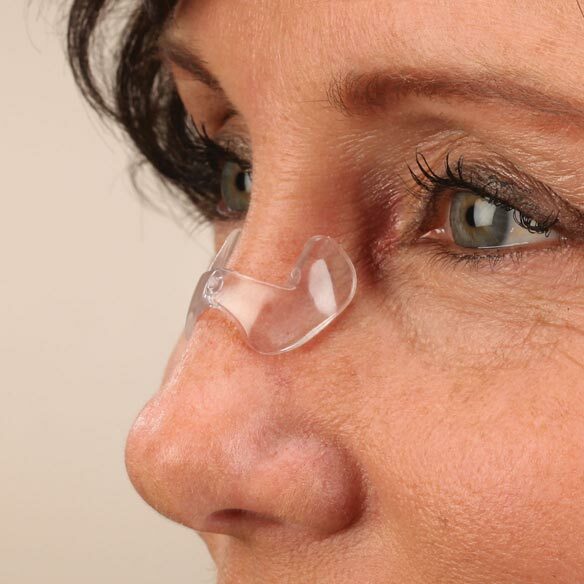 By raising your bifocals, trifocals or progressive-lens glasses, you can view close objects straight ahead through the lower portion of your lenses — perfect for reading and other up-close work. Helps maintain good posture for less neck strain, tension and fatigue. 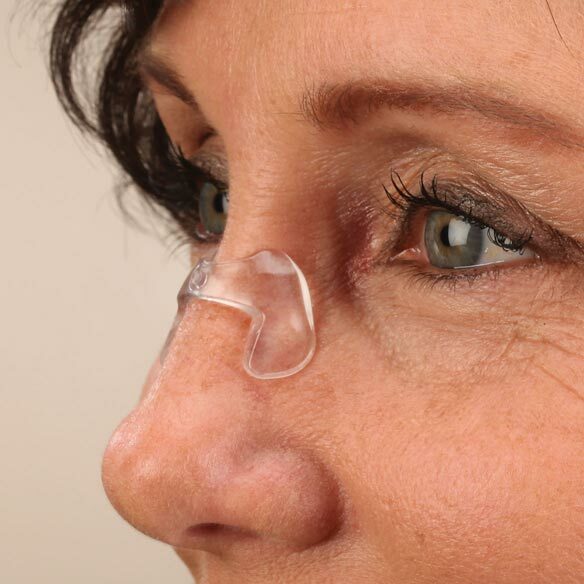 Comfortable design cushions your nose and prevents glasses from slipping off. Set of 3 eyewear holders. Easier to read without pushing up glasses. I'm hoping this will make it easier to read and knit. so I don't have to take my "computer" glasses with me on a vacation. My glasses tend to slide down my ski jump nose when I read a book. My daughter needs this to keep glasses without slipping. To cushion hubby's nose for his CPap.